ZiD Internet now let you register domain names with French accents. We now offer accented domains in .Com, .Net , and .CA registries. 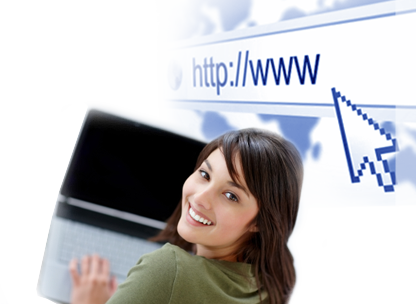 For .COM and .NET domains name, there are not special rules for registering international domain names (IDN). The normal domain name rules apply. If the domain is available, you can register it right away. As for .CA name, The Canadian Internet Registration Authority (CIRA), the organization that manages the .CA Internet domain, has set-up special polices for registering IDN. Previously, the only characters that could be used in a .CA domain name were the letters a-z, the numbers 0-9 and hyphens. When a domain name works with any characters beyond these, it’s called an Internationalized Domain Name (IDN). It is now possible for French .CA domain names to be spelled with the language’s full range of characters and ligatures: é, ë, ê, è, â, à, æ, ô, œ, ù, û, ü, ç, î, ï, ÿ. One of the most important developments by CIRA is the creation of a bundling policy that removes the necessity to register every special-character variant of an existing .CA domain. Whoever registers, or has already registered, a specific domain, is automatically granted an exclusive right to register all of its variants, but is under no obligation to do so. For example, only the owner of cira.ca will have the right to register cïra.ca and cîra.ca. Every French character variant of a registered .CA domain name automatically becomes part of an administrative bundle. For example, the bundle for cira.ca would include variants such as cirà.ca, çira.ca, cîra.ca, çïrâ.ca, and all other combination of accented French and standard ASCII characters. Once a domain name is registered, all the variants of that domain name in the administrative bundle are reserved, and can only be registered by existing owner for the domain name. Each variant in an administrative bundle you wish to use must be registered individually, and each registered domain name in the administrative bundle has its own epiry date. All domain names within an administrative bundle must be registered to the same owner and with the same Registrar, ZID Internet. if you transfer domain to ZiD, you will have to transfer all the variants of the .CA adminstative bundle.